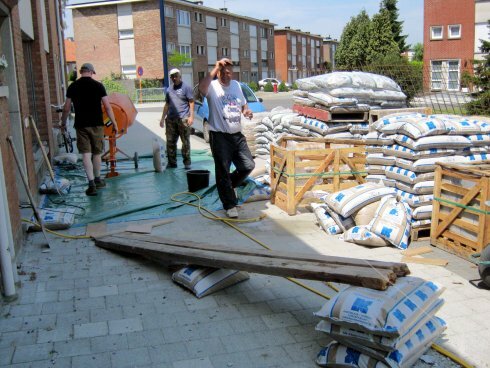 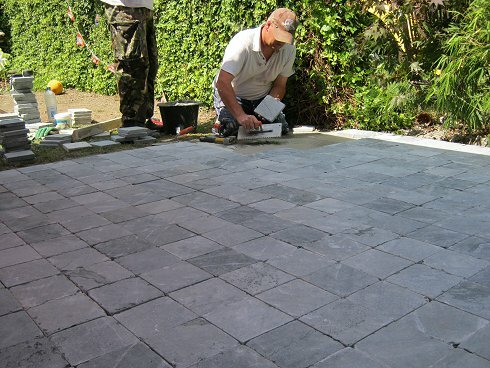 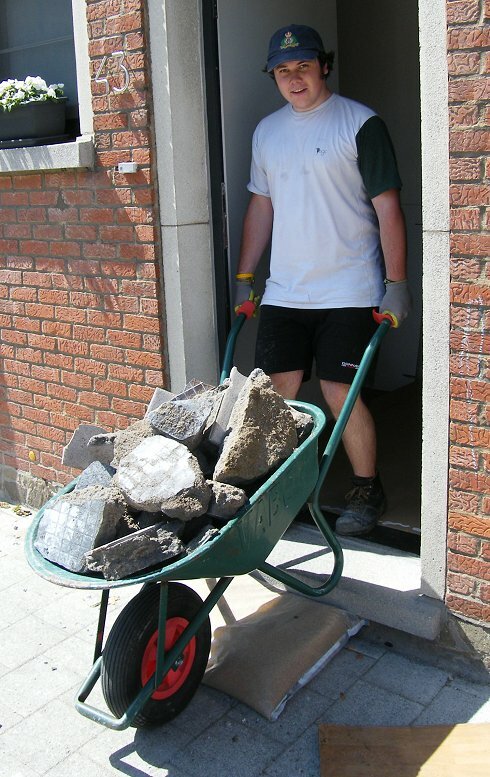 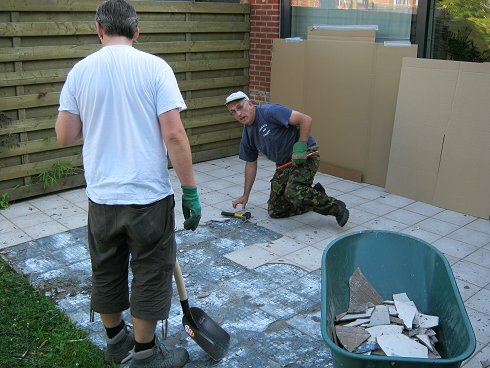 Three days, temperatures between 30 and 38 degrees, and an international Muscles team working in a small town east of Antwerp removed an existing patio and replaced it with over 1,100 tiles. 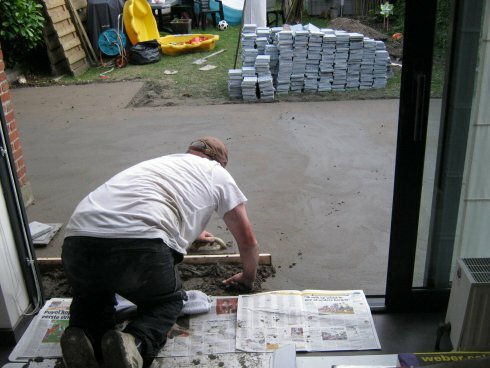 Amazingly the rear of the associated garden featured emu’s, a selection of European farm animals and a kangaroo. 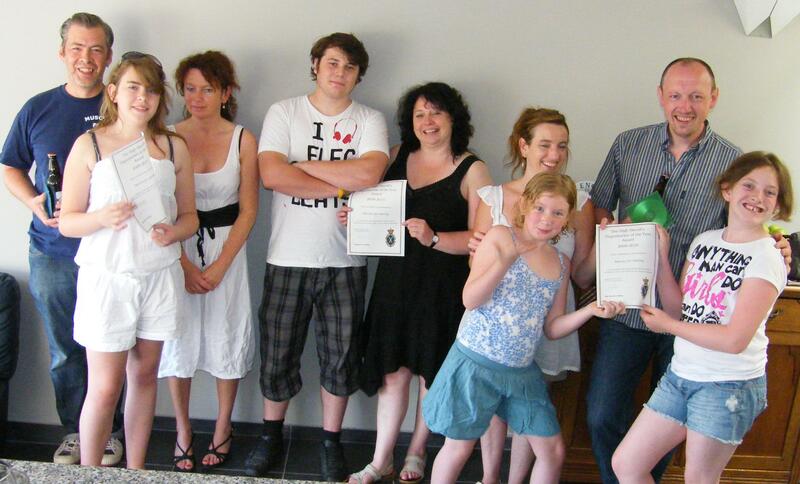 Guess who was the most comfortable in that heat !! 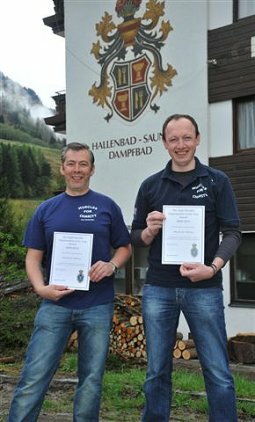 Pictured right, Johan (Belgium Muscles Team Leader) and Rob with their certificates from the High Sheriff of Suffolk during a Muscles job in Austria. 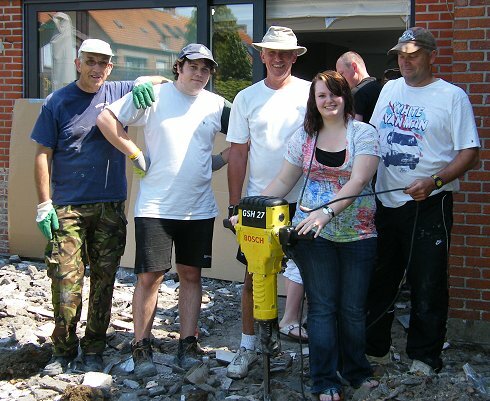 Visit the Muscles UK 2010 Project page for more pictures of the Austrian adventure.